We all know I love baths; that’s the same as it’s always been. Similarly, I’m pretty sure we all know that I absolutely adore Lush Cosmetics. They do many great things; amazing products, great charity work, fighting animal testing, and many more fantastic things. 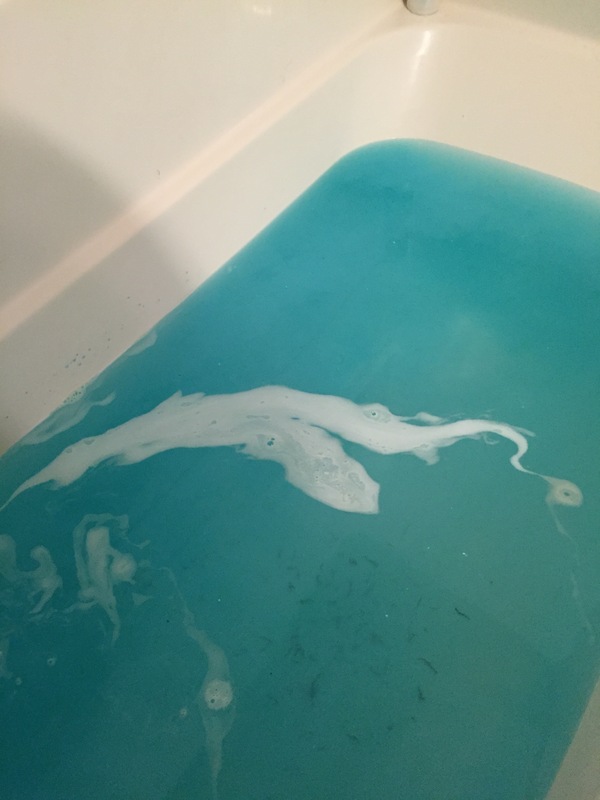 The other day I got to experience one of my new favorites; a bath bomb called Big Blue. Normally, I split my bath bombs in half, so I can get more use out of them. It’s a bit of a relief on my wallet, and makes it so I can fully enjoy my bombs multiple times. But the day I tried out Big Blue, I was feeling lazy and indulgent, so I didn’t. I’m so glad I felt that way. 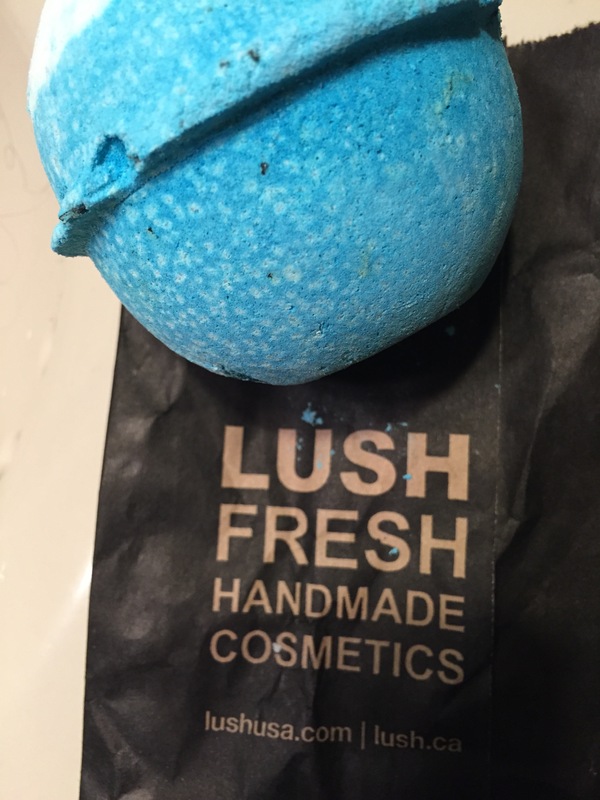 As soon as I pulled Big Blue out of its bag, I was overwhelmed with the scent. It’s beachy, and that gets me excited. I definitely prefer winter, and quite honestly despise spending time at the beach (sun, sand, and critters all get me a bit skeeved out), but I like the scents that are associated with it. I like sunny and salty scents, and Big Blue embraces both. And after dropping BB into the water, I understood it’s namesake. It turned my bath an absolutely gorgeous blue that my camera couldn’t capture perfectly, but wow. And the smells from the bomb filled my bathroom. It was bliss. One thing I did not realize before popping this into my tub, was the amount of seaweed inside it. Seaweed is phenomenal for your skin (and even hair! ), so my body felt incredible afterwards, but I did not enjoy cleaning up. And even though I felt a bit whiney while picking the wet seaweed out of my tub, it did give me something to do while in the bath, which is a big improvement (my baths sometimes are cut short due to boredom; I can’t relax right off the bat, so cleaning during the first bit of my bath made it easier to relax later). There was a good amount of seaweed that I pulled out, so next time I will put Big Blue into an old nylon before swishing it around in my bath. 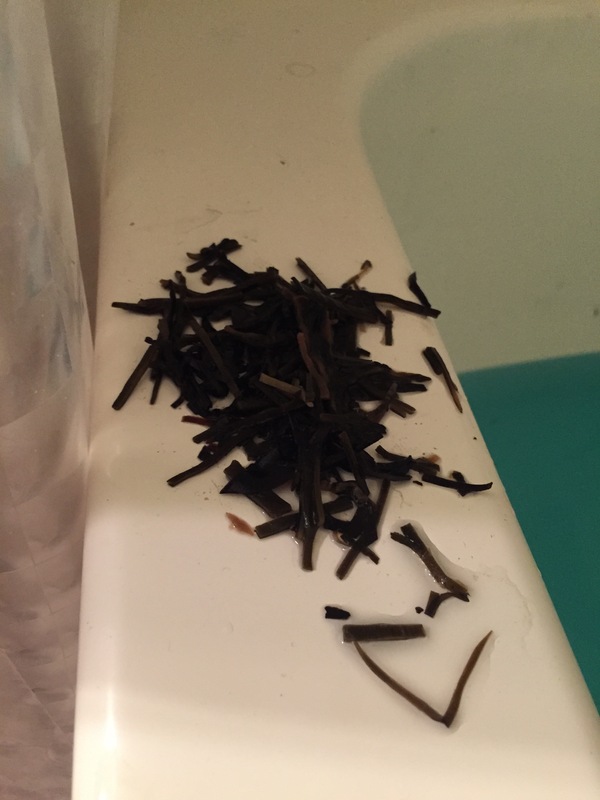 This is about half of the seaweed that I pulled from my tub. Clean up whining aside, this was a fantastic experience. I watched my movie, had a delightful soak, and unwound from a stressful week with ease. While in the tub, I ordered my friend his own Big Blue (and will suggest nylons to him as well), and stocked up on some more bombs for myself. 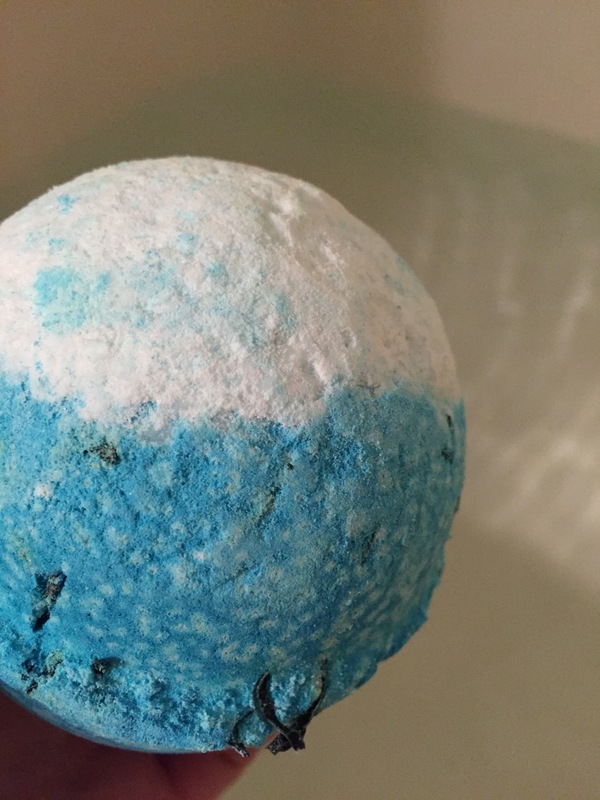 If you’re looking for a non-holiday themed bath bomb to bring some beach into your cold winter nights, you need to grab a Big Blue Bath Bomb. You can get it here for $6.50.